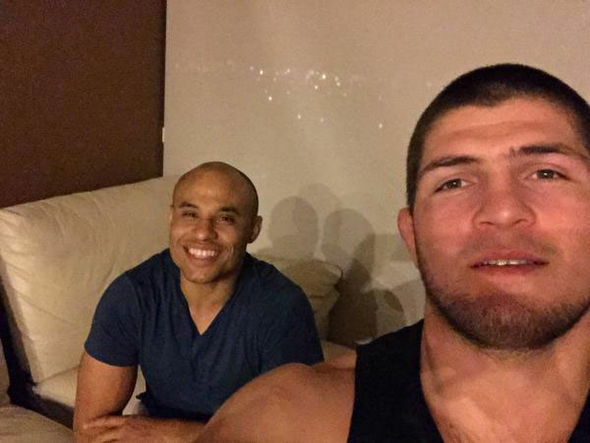 Ali Abdelaziz: "No way in hell Khabib fights Conor for less money than Nate Diaz"
Six days have passed since Conor McGregor’s court hearing last week, and now we finally know that his MMA career will continue. The verdict that Conor received by the end of Thursday morning was one I’m sure in his mind, is way better than jail time as he was dealt 5 days of community service, pay restitution fees in damages he caused to the bus, and to participate in anger management classes. Pretty much a proverbial “slap on the wrist” to sum it all up. All the legal stuff behind him now, with the only thing left to do but to serve his punishments handed down to him, McGregor can now focus back on his fighting career, and possibly another huge money fight with his arch nemesis Khabib Nurmagomedov. The issue with that now is what price will Khabib be willing to fight the Irish mega star for? There’s only one man that can answer that question emphatically, an that is the man who is responsible for making sure all of Khabib Nurmagomedov’s financial needs are met, his manager Ali Abdelaziz. Abdelaziz recently spoke with MMA Fighting yesterday about his fighter’s financial stance on the Conor McGregor fight in which he stated that Nurmagomedov would not fight the former UFC double champion for a less amount of money than Nate Diaz had made when fought him. But Abdelaziz is confident he will get the deal done for his client to defend his UFC lightweight championship against McGregor simply because of the relationship he has with the UFC staff. Some likely dates for this epic fight to happen should a deal be made soon would be for either UFC 229 October 6 in Las Vegas, or UFC 232 at Madison Square Garden on November 3. Another possible date could be on December 29 for the UFC 232 end-of-the-year event. Ali also made clear if the price he and his fighter are asking for do not meet expectations, then Khabib will be willing to defend his title against fellow Lightweight contender Dustin Poirier who defeated Eddie Alvarez again, this time by 2nd round TKO at UFC on Fox 30 this past Saturday night. Khabib expressed at the UFC Calgary in principal, McGregor is undeserving of this fight as he’s 2-2 in his most recent fights( the Mayweather bout included). “The Eagle” looking at this as a straight up money fight, is expecting to be compensated accordingly. The animosity between McGregor an Nurmagomedov is heated. and Abdelaziz assumes that most of is due to the success Khabib has achieved in the UFC.